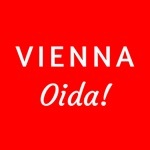 Vienna - The City of Music! 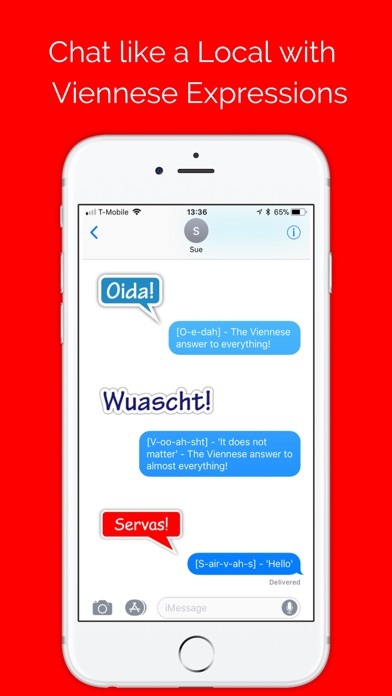 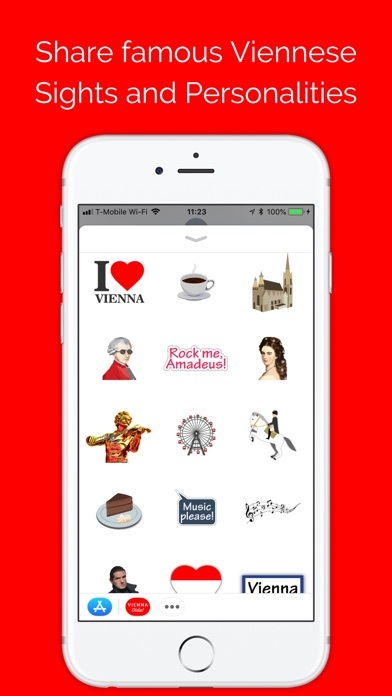 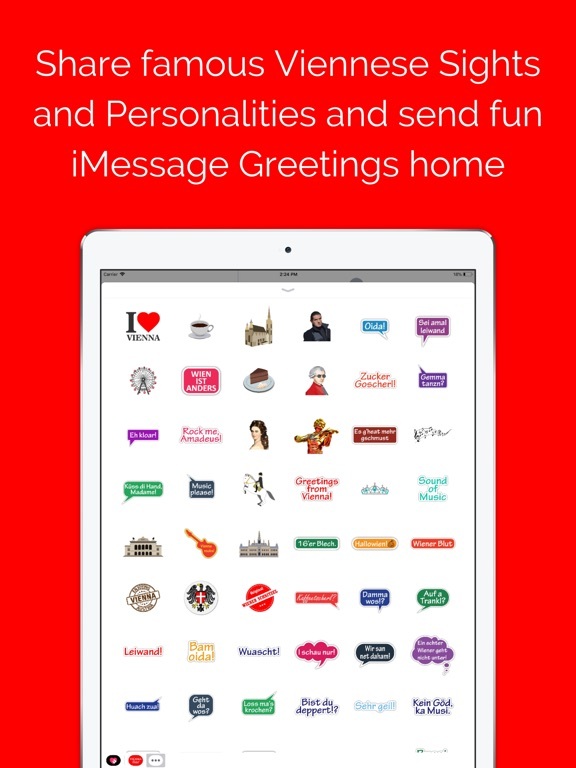 Share Viennese culture and humor with your friends and excite them with over 100 beautiful Vienna iMessage stickers! 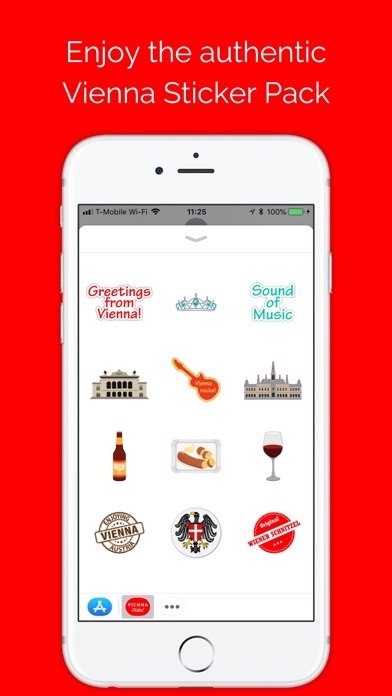 Designed by locals - for tourists and everyone in love with the 'Most Livable City in the World'. 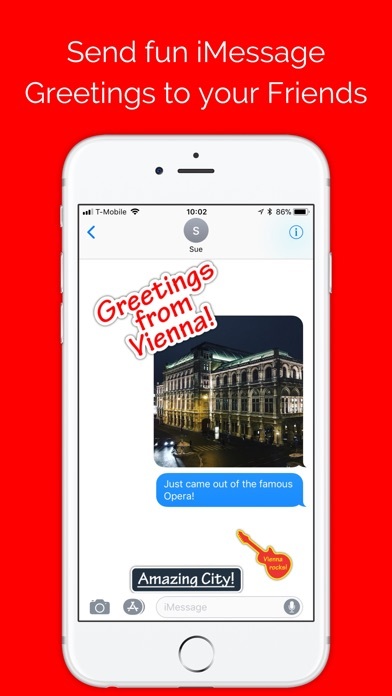 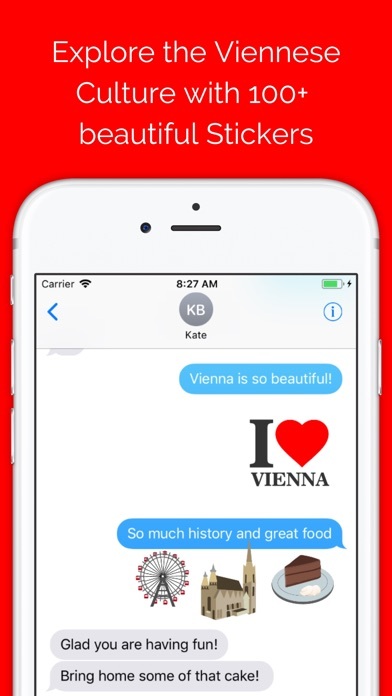 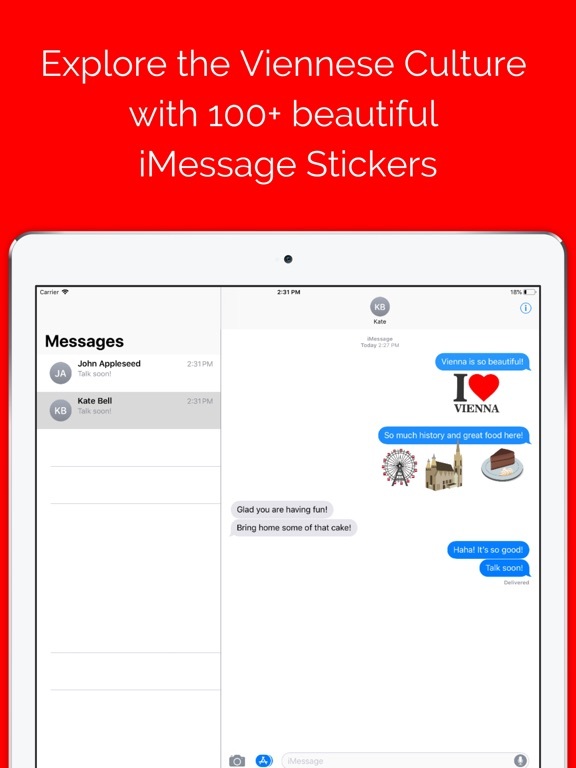 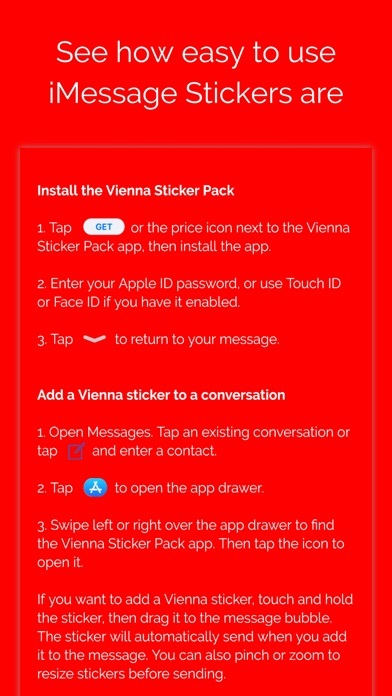 Download the Vienna Sticker Pack today and share your favorite Vienna impressions in your iMessage chats!